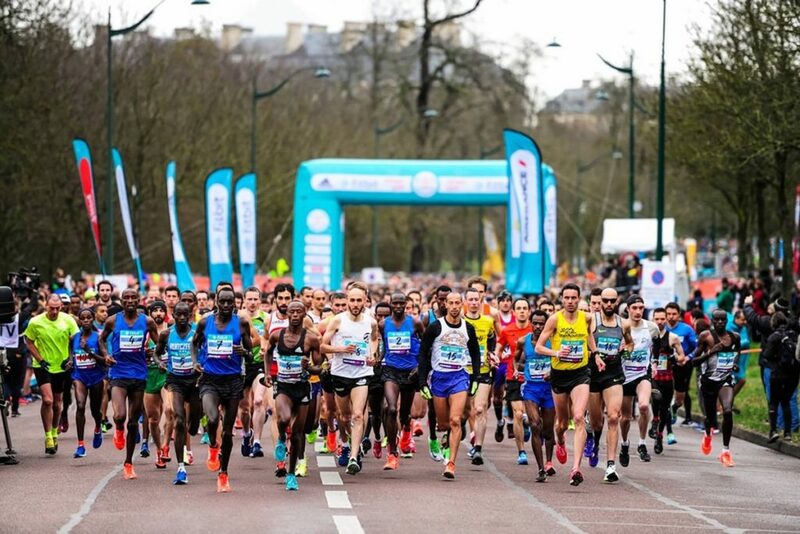 There are two other half-marathons in Paris, the more “intimate” half-marathon of Vincennes, which takes place in the Bois de Vincennes, can be considered as a half-marathon of Paris, the Bois de Vincennes belonging to Paris! Another great half-marathon also exists, very close by, the half-marathon of Boulogne with a few kilometers done in the Bois de Boulogne, also belonging to Paris! The one of Boulogne has an international level (see the other posts about these half marathons). The Half Marathon of Paris is the first major international race of the year in Paris, before the Marathon de Paris. He is considered to be the half-marathon to prepare for the Paris marathon. This year, the half-marathon is five weeks away from the marathon. To your training plans! As for several years now, the start and finish are in the Bois de Vincennes. The race goes and joins the heart of Paris passing by the river Seine, reaches the Hôtel de Ville and returns again by the Seine to rejoin the Bois de Vincennes and to end with some uphill false flats at the finish near the starting point. A beautiful loop!